It’s always busy when you operate a warehouses or DC, but as noted philosopher Ferris Bueller once said, “life moves pretty fast. If you don’t stop and look around once in a while, you could miss it.” The same applies to your facility and specifically its pallet racks. A good way to ensure they’re being used correctly and safely is to stop and look around once in a while. In that spirit, let’s touch on some things to examine in your warehouse rack operation. The right pallet rack will enhance your warehouse and improve overall facility performance, when correctly specified, laid out, and installed for the right load in the right positions. Check out our common-sense guide to specification, styles, accessories and applications. 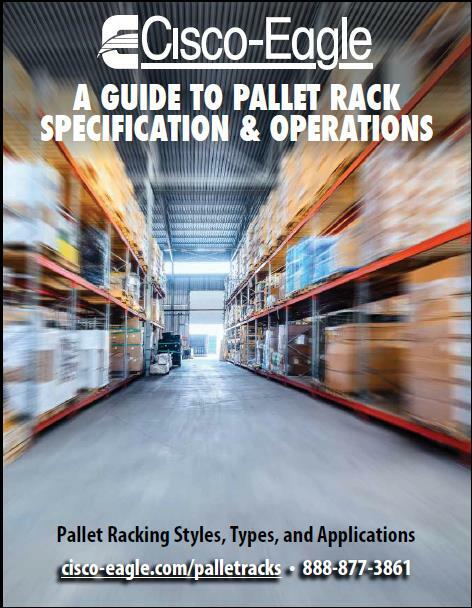 You will find quick, useful information on racks and how you can use them more effectively. 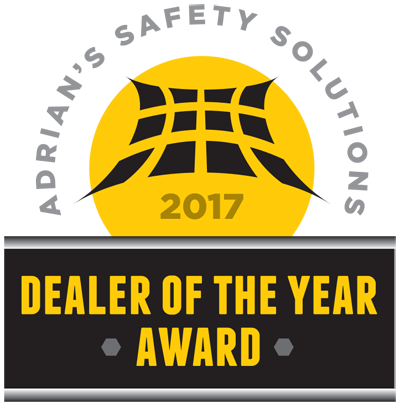 Cisco-Eagle is proud to announce our receiving of the Dealer of the Year Award by Adrian’s Safety Solutions. We’re honored to be recognized as we strive to bring our customers the very best in material handling & safety solutions, and are happy to offer the rack safety product line by Adrian’s. 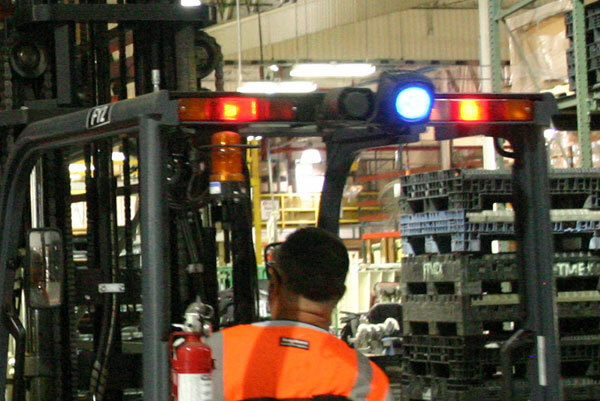 It’s been a sudden transition: many forklifts no longer use flashing strobe or beacon lights and have transitioned to LED “blue light” forklift safety lights that project on the floor rather than flash on the forklift itself. Workers have never liked an excess of flashing lights, but to some extent this is because companies aren’t deploying the beacon lights for the right application. LED floor lights are true warning systems, while beacons are visibility enhancements for already-visible trucks. Why do warehouse workers prefer LED systems? Cisco-Eagle is exhibiting at the National Safety Council Congress & Expo this month, and if you are planning to attend, we’d love to visit! We are at booth 3447, and will be doing live demonstrations of our exclusive AisleCop® forklift safety system, AisleAlert warning sensors, Wireless Blind Spot Camera System and other innovative safety equipment for industrial operations. This year, The Congress is in Indianapolis, IN, September 23-29, and well worth your time if you are a safety or EHS specialist or run any operation where people are potentially at risk. We’ll have Cisco-Eagle’s expert safety specialists on hand. They have solved some of the most difficult PIT safety and traffic management issues around, for Fortune 100 companies and small operations alike. You can ask them questions, discuss any issues you have and pick up information on making your people safer from industrial traffic. Drop by to view our products, ask us questions and visit about safety concerns in your facility.